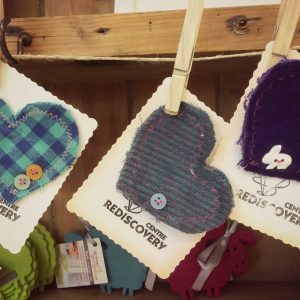 The Rediscovery Centre has opened a best-in-class eco store at our HQ in Ballymun. The Eco Store is open from 9am to 5pm Monday to Saturday. 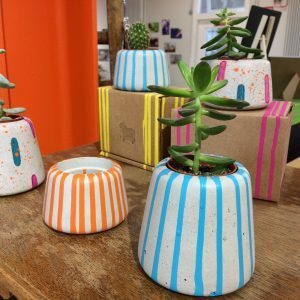 Reuse products are available in the shop – a collection built from Rediscover products and other Irish producers whose products exemplify a reuse or sustainability ethos in line with the overall project. On the 6th of December from 5pm to 8pm we will host our annual Eco Store customer evening. There will be nibbles, festive drinks, discounts and reuse demonstrations. To say thank you to all of our customers, there will be 20% off all of our bikes and 10% off the majority of stock in the Eco Store. We are an eco conscious couple who love to upcycle and repurpose furniture. 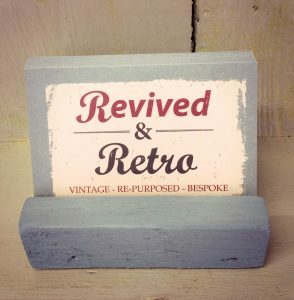 We like to recreate, revive, upcycle and repurpose pieces into items that can be used & loved again for years to come giving them a new chapter to their life and helping the environment. 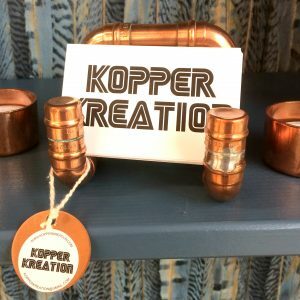 Kopper Kreation started out as a hobby! I used to deliver a lot of scrap metal to a local scrap yard with my previous job and noticed the large amount of copper pipe that was being scrapped. I began to buy some old copper pipe and brass fittings from the scrap yard and started to experiment with different functional designs for items. I quickly discovered the beauty and workability of copper and my designs lead me to developing various different lamps and lights. 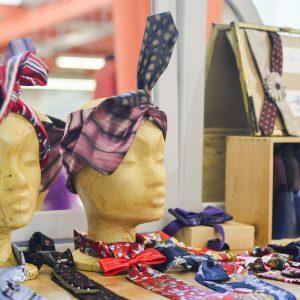 Bebrave Textiles is a family business with a passion for sustainable fashion. 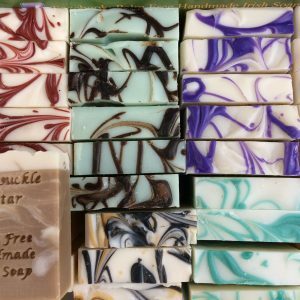 We care about our environment and encourage people to buy upcycled goods to prevent wasting potentially useful materials and reduce the consumption of new raw materials. We believe that every handmade thing should be high quality and durable, so our every item is made with precision and love. We believe that everyone should be stylish in individual way, so all our products are one of a kind. We stand for equality, so almost all our products are Unisex. 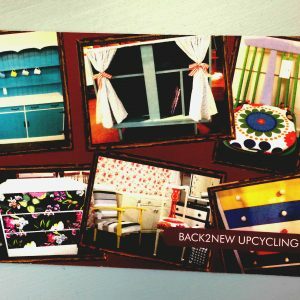 Back2New Upcycling was established by West Limerick Resources under the TUS work placement programme. The initiative provides opportunities for work experience and skills development for long term unemployed individuals. All furniture and wooden parts are redesigned at Back2New Upcycling escaping landfill. Some paints utilised have been redirected to us from Limerick Recycling Centres. The Rediscovery Centre is a creative space connecting people, ideas and resources. Our social enterprises, Rediscover Fashion, Rediscover Cycling and Rediscover Furniture all supply the Eco Store with their unique products. All items have been made onsite and all profits go back into the services provided by the social enterprises. 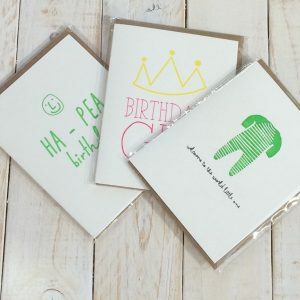 The Pear in Paper is a small sustainable Irish business. All the prints are made by a treadle based press that uses no motor or electricity. All cards are tree free or recycled. All of their envelopes are recycled. 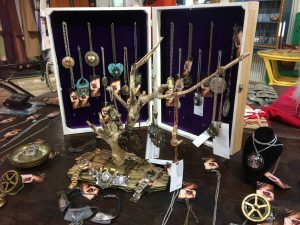 Handcrafted bespoke jewellery upcycled from broken pieces of old clocks, watches, brass and copper. They would use almost anything in pursuit of creating quirky and bespoke pieces of jewellery.